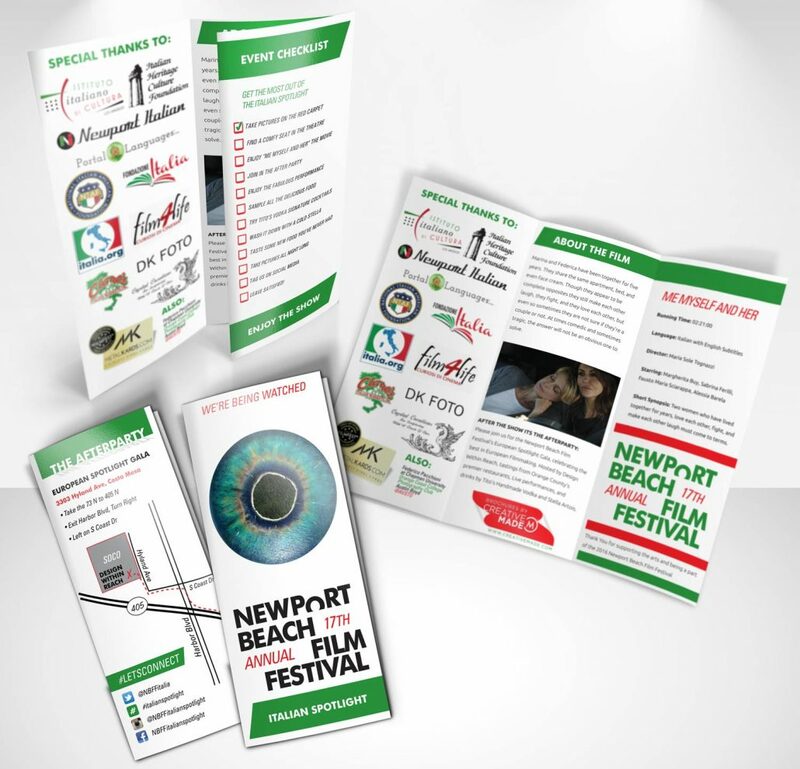 On April 26th we sponsor the Newport Beach Film Festival European Spotlight. 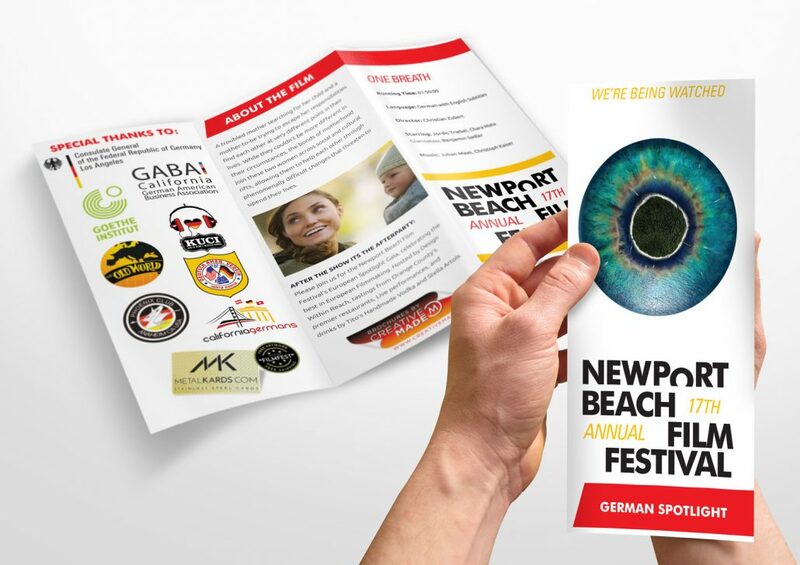 We really enjoying being an official print and design sponsor for the Newport Beach Film Festival European Spotlight, with feature films including the German Spotlight, Italian Spotlight, French Spotlight, and Swedish Spotlight – along with the European Spotlight Gala afterparty. Every year the movies are superbly picked and such a privilege to join others with a passion for the arts, and after the event the European Showcase Party is always a great time! Hosted by Design Within Reach, enjoy tastings from Denver’s premier restaurants and refreshments provided by Tito’s Handmade Vodka and Stella Artois. 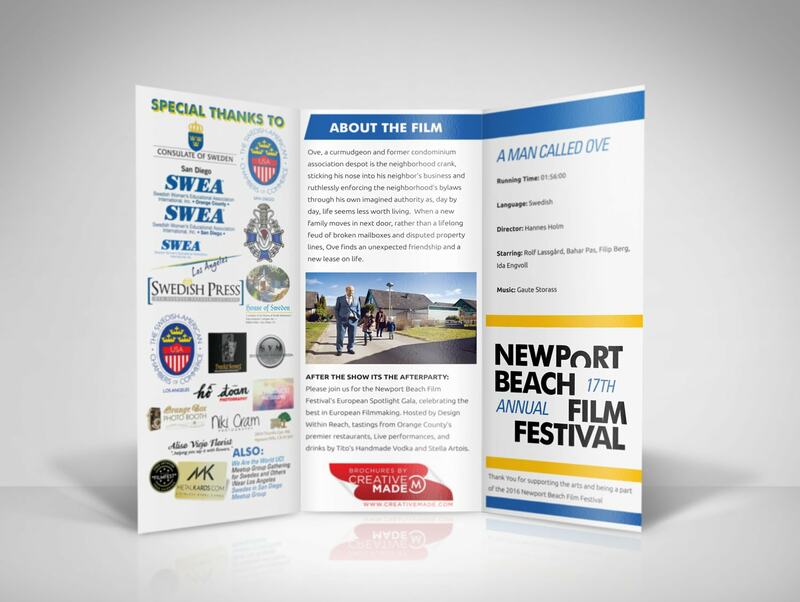 This year we’re sponsoring the entire Newport Beach Film Festival, which is our 5th year in a row sponsoring the prestigious festival celebrating the best in international filmmaking. 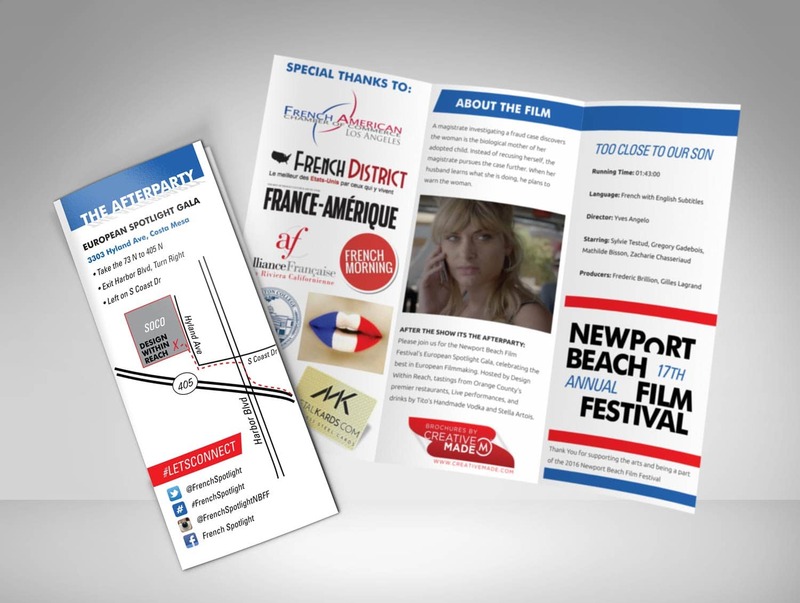 For the European Spotlight we prepared, designed, and printed brochures unique to each countries event, along with a plethora of marketing and display advertising pieces for the overall film festival. Working with the #NBFF every year has been a privilege, as a way for us to help celebrate the arts as well as giving back to our local community in Denver and Costa Mesa. We work closely with not only the film festival, but many of the other sponsors featured in the event to ensure the project and execution give a unique experience to the guests and patrons of the festival, while also helping secure and promote fellow businesses that are also gracious enough to sponsor this non-profit.